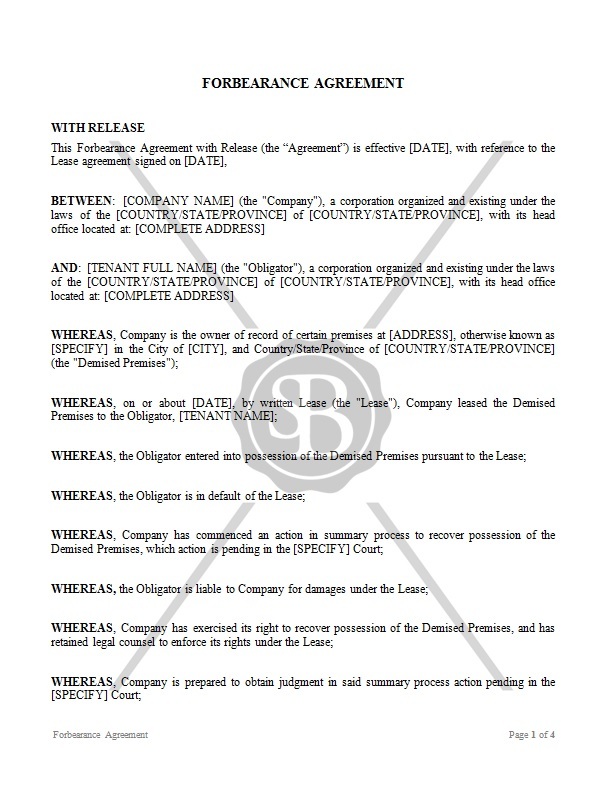 This Agreement is Concluded between a Company and an Obligator. This is used when an Obligator( Tenant) fails to pay the Company the agreed amount of rent. The Company wishes for the Obligator to vacate the premises by a set date and provide to the Company an agreed sum with threat of legal action if Obligator does not comply.